This is a public service announcement to all other pale, easily sunburned people out there! So a while back, I had to take some kids that I work with swimming. 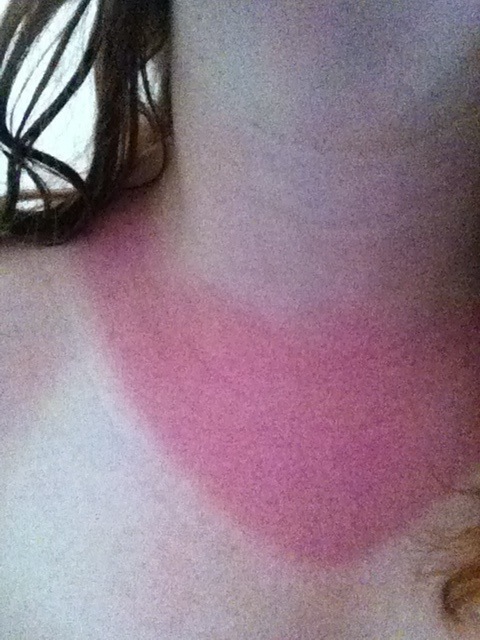 No big deal, until I realize that I neglected to bring sunscreen. I figured since we weren’t there that long that I could get away with it. I was wrong (of course) and needed to be rid of the sunburn ASAP since I had an audition coming up. Note the before photo below: This was after trying it once and not taking photos, then getting burnt again and remembering to take photos this round. Hot damn! The photos really don’t do it justice, the sunburn was almost completely gone and I had no burning, peeling, or itching to worry about. 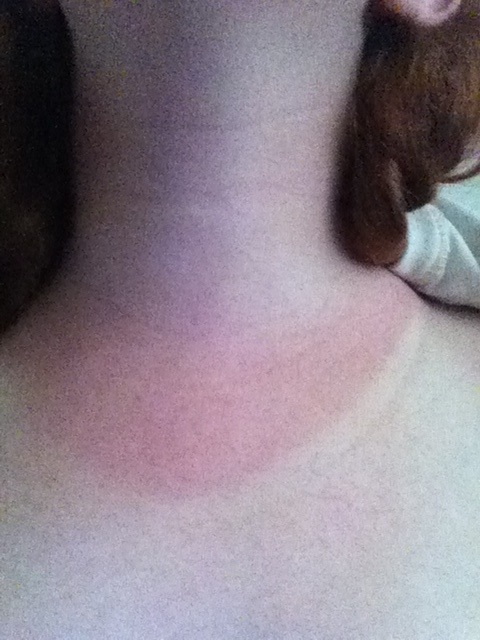 By now, the burn is almost completely gone, but sunburns ordinarily take up to a month to disappear on me. I just wish I would have known this sooner, a lot of needless suffering over suntan lotions that didn’t work or accidental sun over-exposure could have been avoided. Just felt the need to share this cool tip, now back to your regularly scheduled program.